This is kind of cool. Leisure Books recently announced a series of four Western novels in its upcoming Classic Film Collection. The novels are all the basis of classic Western films. The first to be released is Alan LeMay’s novel The Searchers. It is scheduled to be released in February 2009. I recently watched the film version of The Searchers for the first time on a local PBS affiliate. It truly is a masterpiece. John Wayne can’t do everything well—like deliver lines—but in The Searchers the director John Ford captures Wayne at his best: the long lonely look of his aging face; the heavy swagger and bravado and his sheer masculine essence. It was a great film and I’m betting the novel is just as good. The third will be released in April 2009. Its title: The Man from Laramie. The author: T.T. Flynn. Flynn is a writer whom I have yet to read, although I have a few of his novels floating around. I do, however, remember the film. It starred James Stewart—as I recall—and was a pretty good Western. Dorchester’s website claims that there were more than 500,000 copies of this novel printed in the day. "In many ways this novel, a May release, is a companion to The Searchers, as it features a different perspective on the clashes and prejudices between whites and Native Americans. Rather than chasing after a missing white girl taken captive by the Comanches as in The Searchers, The Unforgiven presents the explosive ramifications when it’s revealed a white family may have taken in a Kiowa baby 17 years before." I’m looking forward to these titles. I grew up with John Wayne and Jimmy Stewart on the television screen. My father enjoyed the work of the former and my mother the later. I’m especially looking forward to The Searchers. The film has been playing quite frequently on television recently and I’ve watched it more than once. It’s nearly 2009 and that means one thing—well several things, but the most exciting is the Gravetapping top five reads of the year. The rules are simple. There are really only three. The first is, the novel can be published anytime, anywhere. The second is, I have to have read it in 2008. The third is it has to be new to me, which means that I can’t use the same old book year after year. 5) Archangel by Robert Harris. I love the occasional thriller. I enjoy the fast-paced style and the deep backstory that many well-written thrillers provide. 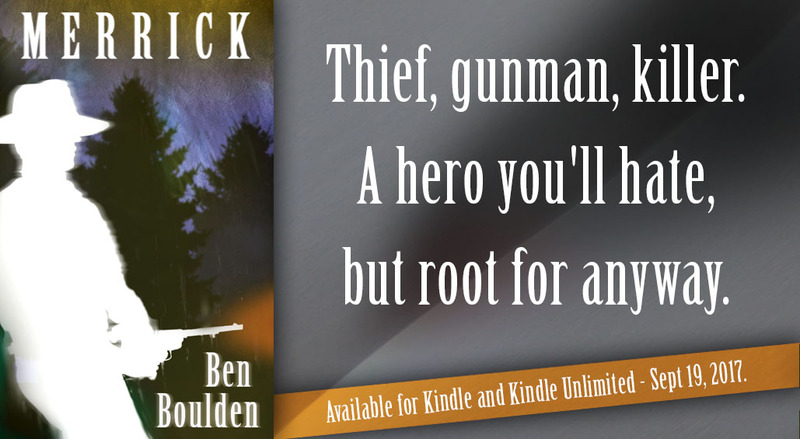 Unfortunately many of the current crop of thrillers skip backstory altogether and the fast-paced style seems less fast-paced and more contrived and tedious. However, a few months ago I read a terrific thriller by Robert Harris. It is a modern story of Joseph Stalin and it is filled with historical insight, adventure, suspense and enough twists to keep even the most jaded thriller readers—me!—satisfied. 4) Red, White, and Blue Murder by Bill Crider. I discovered the work of Bill Crider earlier this year and I’m getting dangerously close to declaring Gravetapping as his unofficial fan club. His Sheriff Dan Rhodes stories are terrific and Red, White and Blue Murder is no exception. Click Here to read the review. 3) The Other Side of Silence by Bill Pronzini. Bill Pronzini is a regular on this list. His novel The Crimes of Jordan Wise won the top honor a few years ago—I still think about that one. It was terrific. And The Other Side of Silence is right up there with it. The first chapter is actually the short story “Engines” Pronzini wrote for Tony Hillerman’s The Mysterious West back in the mid-1990s and the story follows the recently separated Rick Fallon to Death Valley where he saves the life of a young woman who is in trouble. His journey takes him from the desolate desert to Las Vegas to Bull City, Arizona, and then into the southern climes of California. 2) A Stir of Echoes by Richard Matheson. This is a masterpiece of psychological horror. The amazing thing is it is also a brilliantly created view into suburban American life of the 1950s. The characters are rich and the story is perfect. Click Here to read the review. 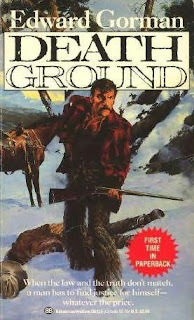 1) Death Ground by Ed Gorman. I can’t say enough about this novel specifically or Ed Gorman’s work as a whole. He is a favorite writer of mine and Death Ground is one of the many reasons why. It is dark and pessimistic, with an overcast of sly humor and unruly humanity. Click Here to read the review. This year it was particularly difficult to narrow the list down to five. I very easily could have made a list of ten or fifteen. Ed Gorman had another novel that barely missed the list—Sleeping Dogs—as did Bill Crider with Gator Kill. A few other honorable mentions are: Breeding Ground by Sarah Pinborough, Baby Moll by John Farris, Zero Cool by John Lange, Luck Be a Lady, Don’t Die by Robert J. Randisi, The Incredible Shrinking Man by Richard Matheson and Stephen Mertz’s The Korean Intercept. An excellent year in my reading chair. And here is to 2009. I bet it’s even better. 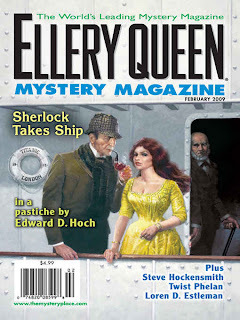 The latest issue of Ellery Queen Mystery Magazine arrived in the mail Friday, and as always it is a treat. I have the mail schedule pretty much pegged and I had been expecting it for a few days. Not that it was late, but rather I was impatient. It is the February 2009 issue and it is a celebration of Sherlock Holmes. But like always there is a broad array of high quality stories that will appeal to any and all mystery readers. “Greetings from Purgatory!” by Steve Hockensmith – Old Red and Big Red are back in a Sherlock Holmes-type adventure set in the old West; the thriving metropolis of Lovelock, Nevada. 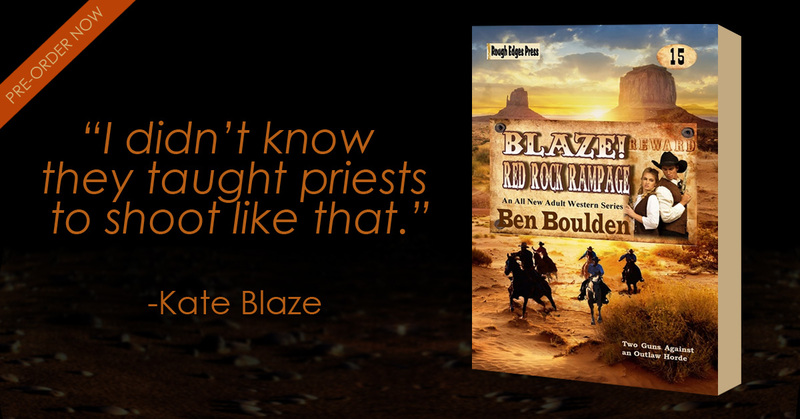 A can’t miss story that is whodunit, Western, and down right humorous. “Wolfe at the Door” by Loren T. Estleman – An Estleman story is always worth the price of admission and this take on the Nero Wolfe mysteries is no exception. “The Adventure of the Dying Ship” by Edward D. Hoch – This is a reprint of the late-EQMM regular and it is a dashing Sherlock Holmes story. “Down to the Bitter Dregs” by Silvija Hinzmannn – This Passport to Crime story originates from a Croatian-born German. A terrific little tongue-in-cheek satirical revenge story. A great introduction to a foreign language writer. It also includes The Jury Box by Jon L. Breen and Blog Bytes by Bill Crider. Another terrific issue that every mystery reader should make a point to pick up. Apologies in advance. This is another retread review. I originally wrote it for SFReader.com last summer. It posted 27-July-2007. The good news is, most of you probably never saw it, so it very well may be just as good as something new. Maybe. I have a couple reviews slated for next week; probably Monday and Wednesday. I just need to find time to write the damn things. Have a great weekend. Brian W. Aldiss is a living legend in the science fiction genre—he has won the Hugo Award, the Nebula, the British Science Fiction Association Award, and the John W. Campbell Memorial Award. He has been a progressive voice in the genre for decades, and his latest novel, HARM, has all the life, voice and thought provocation of anything he has ever produced. HARM—an acronym for Hostile Activities Research Ministry—is a satirical novel based in the near future. It is the story of Paul Ali, a writer and British citizen of Islamic heritage, who is being held as a political prisoner in a terrorist detention camp. Inside the prison he is known only as Prisoner B. His crime: a few characters in his comic novel "The Pied Piper of Hament," drunkenly joke about the assassination of the British Prime Minister. His only human contact is with his interrogators, who practice torture and violence with a particularly frightening glee. HARM is a disjointed novel that is effective for the simple reason that when all of the storylines are connected and examined as a whole, they become something more than their parts. It is a story that casts a cynical eye at our post September 11th society. Mr. Aldiss cleverly unmasks the tightrope that many British Muslims are walking—they must embrace the British culture without losing their own—and he also casts a shadow against the methods used by Britain and the United States in the war on terror. HARM is a novel that is both enlightening and demanding. It is very much a novel of our time, and it captures many relevant themes—immigration, identity, racism, torture—but it also examines the obscurities and nuances of what has happened to our culture since the September 11th terrorist attacks. It translates the hate and anger with a perfect pitch, all while telling a compelling and entertaining story. I recommend HARM wholeheartedly. I've read two thrillers by Haggai Carmon this year -- Triple Identity and The Red Syndrome -- and I enjoyed both. The novels feature DOJ lawyer Dan Gordon; a protagonist that has a little trouble with authority and doesn't mind breaking the rules to catch the bad guy. There is always a financial connection and Gordon always follows the money. The third novel in the series is due out in April 2009 from Leisure Books and Mr. Carmon sent a link to a book trailer that highlights the series. It's pretty good and makes me excited to read The Chameleon Conspiracy. PS. If anyone knows of any good book trailers send me an email. If you are an author or publisher I would love to hear from you. Tom Piccirilli: "The Blood Beneath When the World Draws Back"
This is a repeat post (at least the review of "The Blood Beneath When the World Draws Back"). It first went live 21-June-2007. I recently re-read the “The Blood Beneath When the World Draws Back” and I liked it better the second time than the first. If that’s possible. My only complaint. I need more Tom Piccirilli Western short stories. A novel or two wouldn’t be bad either. Tom Piccirilli is best known as a horror writer, but he has published two western novels—Grave Men and Coffin Blues—and several western short stories. I recently read his western short story “The Blood Beneath When the World Draws Back” and it had the same power as his best horror—the prose sharp as a dagger, the story literate, and very entertaining. “Blood Beneath” is the story of Smoke, a Texas Ranger, who is hot on the tracks of two outlaws: rapists, murderers and overall bastards in the worst way. They left a child to die in the hot sun and raped her mother. Smoke quietly follows the outlaws across the open country of Texas until he hunts them down in the small town of Last Chance where he seeks justice and more than a little vengeance. The power of the prose never lets up, and the story glides seamlessly to its inevitable conclusion. Mr. Piccirilli is a terrific writer who deserves a larger audience, and “The Blood Beneath When the World Draws Back” not only gives hope to a shrinking genre, but is also one hell of a good tale. “The Blood Beneath When the World Draws Back” was originally published in the anthology Texas Rangers—edited by Ed Gorman and Martin H. Greenberg--in 2004. Death Ground opens on the evening of Guild’s 54th birthday. In lonely celebration he makes a date at the local brothel with a young “straw-haired” girl. Things don’t go as expected with the girl and his birthday truly turns for the worse when he is summoned to the Sherriff’s office. Leo Guild decides he can’t leave town until he figures who really killed the pair and why. He has a feeling it is not the violent mountain man being blamed by the Sherriff, but he doesn’t have many suspects. He doesn’t have anything but a hunch, really. Leo Guild is an everyman. He is the man who does what needs to be done. He isn’t a hero, or a villain, but rather he is simply a man; a man who has seen much, done much, and lost much. Guild is an example of what makes Ed Gorman’s fiction so damn good: characters that are measured and three-dimensional; characters that act, feel and sound real. His male characters are strong and pitiful, lustful and scared, vain and dangerous, lonely and weak—generally all at the same time—and more importantly they are recognizable. And his female characters exhibit the same steady qualities. Neither wholly good nor bad, just human. This one is well worth searching out. 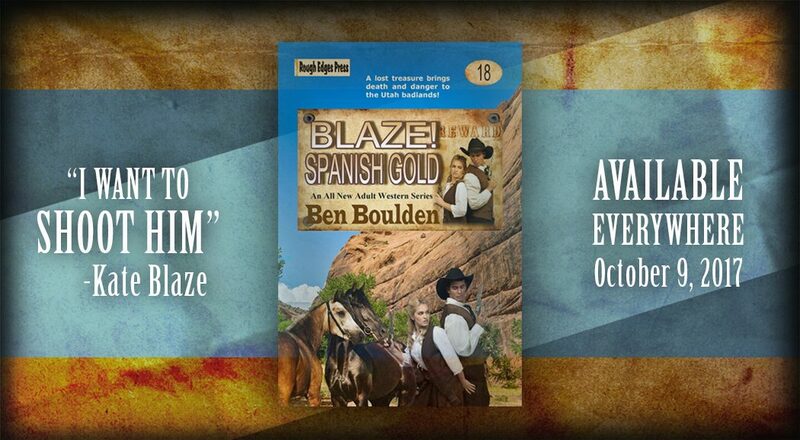 Death Ground is the second of three novels to feature bounty man Leo Guild. It was originally published by Donald M. Evans in 1988. The other two are: Guild (1987) and Blood Game (1989). I have also read Blood Game, and it is every bit as good as Death Ground. I can only imagine that Guild holds it own as well. I was “tagged” and invited to play a little game by J. Kingston Pierce from The Rap Sheet—a pretty damn good blog that you should check out if you haven’t. The game? List the writers I was introduced to in 2008. The rules are pretty simple: 1) The writer must be new to me, regardless of publication date; 2) bold the titles that were debut novels in 2008; 3) Tag some other people. Here they are…in the order read. Now that I look at it, it’s an embarrassingly short list. Although there are a few gems; namely Red, White, and Blue Murder, Breeding Ground, The Commission, and Baby Shark’s High Plains Redemption. But none of the books were duds, and I would happily pick up another title from any of these writers. You probably noticed I broke the second rule; I bolded the title if it was a debut novel even if it wasn’t published in 2008. Opps. I’m a sucker for Star Trek films, and I really don’t know why. I’ve never been a big fan of the original series or any of the spin-offs, but the films, that’s another story. I like all of them; especially the last several TNG offerings. The latest installment in the franchise is scheduled for release May 9, 2009. It is directed by J.J. Abrams, written by Robert Orci and Alex Kurtzman, and stars Chris Pine, Eric Bana, Simon Pegg, Winona Ryder, Bruce Greenwood—the Nowhere Man, a series that should still be on—and Leonard Nimoy. A pretty damn good cast. I hope it lives up to expectations. I have a love-hate relationship with Christmas. I love that I get a day off work. I love the stereotypical atmosphere of goodwill—I usually don’t see it, but I love the idea of it—the music (in small doses) and time spent with family and friends. And eggnog. Always eggnog. The part of Christmas I don’t love so much are the crowds, both in stores and on the roads. The rush to buy junk no one wants. And the “me me” of the season. So to make-up for the all the bad stuff I usually lose myself in a few mystery stories with Christmas as a backdrop. My only rule—if I actually have one—is that Christmas should only be a backdrop and not the central theme of the story. So this year I thought I would share a few. The first is a Sheriff Dan Rhodes Christmas primer. It is a novella length story titled “The Empty Manger.” Blacklin County, Texas isn’t a typical Christmas location. There are no white Christmases, it is warm and there probably aren’t many pine trees. But it is the type of rural county where the people are eccentric, there is always a perplexing crime, and enough humor and mystery to satisfy any reader. The story begins when Sheriff Dan Rhodes is called to investigate the kidnapping of the baby Jesus doll from the manger scene in downtown Clearview. Clearview, like the rest of America, has a decaying and nearly abandoned downtown and one of the plans to attract more traffic to the area is a live manger—including a donkey and a few goats. The production is sponsored by the local First Baptist Church and when Rhodes arrives to investigate the missing Jesus he finds much more—namely the murdered body of Councilwoman Jerri Laxton, a proponent of the downtown revitalization plan, in the alley behind the abandoned furniture store next to the manger. “The Empty Manger” is pure Dan Rhodes. It is a whodunit with style, humor, and just enough hardboiled action to carry the mystery. Sheriff Rhodes is an old style detective. He doesn’t rely on crime scene investigation or science to solve his crimes, but instead he talks to people and generally noses around until he finds a thread and then picks and pulls at it until the mystery unravels. The supporting cast, as usual, is an eclectic mix of varying eccentricity. Rhodes is surrounded by bickering geriatrics, hostile romance writers, nosy young reporters, spiteful housewives, lonely widowers and a host of small town goofballs that not only make good suspects, but act as foils to Sheriff Rhodes. They tend to keep him in his place and whenever possible remind him of his failings, both past and present. “The Empty Manger” is good and fun entertainment. It clocks in at 88 pages in paperback. It can easily be read in one sitting and it has everything that makes the Dan Rhodes series vibrant and it makes for a great escape from crowded super stores, clogged roads and cold weather. 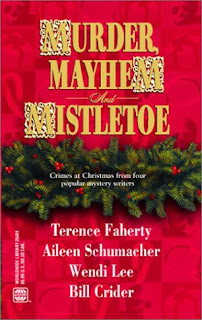 “The Empty Manger” was published in the novella anthology Murder, Mayhem, and Mistletoe. It was released in 2001 by Worldwide and contains three additional novellas—“The Headless Magi” by Terence Faherty, “Christmas Cache” by Aileen Schumacker, and “Stocking Stuffer” by Wendi Lee.